​The NCAA actually got it right this time. 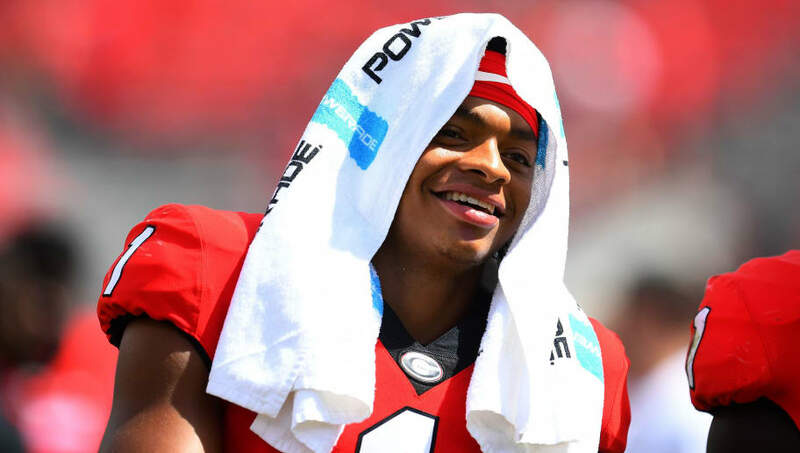 After transferring from Georgia to Ohio State, there were questions as to whether former 5-star quarterback prospect ​Justin Fields would be eligible to play next season without sitting out a year. Those questions were answered today, as the NCAA announced the approval of Fields' eligibility wavier, allowing him to get under center for the Buckeyes in 2019. With both ​Urban Meyer and ​Dwayne Haskins gone from the Ohio State football program, Fields' immediate eligibility should be a surefire way to make sure that the ​Ryan Day era gets off on the right foot. Fields and Clemson superstar ​Trevor Lawrence are going to be the quarterbacks to watch when next season rolls around. These rising sophomores make Tua Tagovailoa seem old in comparison.